The US economy risks "Japanese-style" stagnation, a top Federal Reserve official warned Thursday, as a key economic report was expected to show the recovery is losing pace. Bluntly cautioning about "the peril" of deflation, James Bullard -- a member of the Fed's interest rate-setting panel -- said the United States was closer to a Japanese-style lost decade "than at any time in recent history." "Escape from such an outcome is problematic," he wrote in a Fed journal. "Hope is not a strategy." Given any risk of an external shock that would spark falling prices -- squeezing firms and forcing ever-slower growth -- Bullard said the central bank should consider restarting crisis measures. The US Federal Reserve building is seen in 2009 in Washington, DC. Since the beginning of the financial crisis in late 2007, the Fed and Treasury Department have purchased hundreds of billions of dollars of US debt in the hope of boosting economic activity, part of a process known in economic jargon as "quantitative easing." But with interest rates at historic lows, the Fed has few levers left to prime the economy. Bullard warned that the bank would find it difficult to bring interest rates back to normal levels to help exit the spiral. 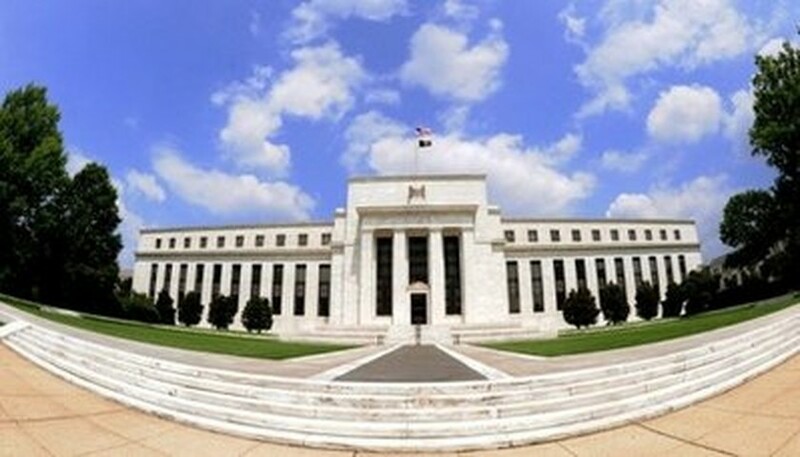 Promising low interest rates "at zero for a long time is a double-edged sword," he said. "A better policy response to a negative shock is to expand the quantitative easing program through the purchase of Treasury securities." Until recently, the central bank had been looking forward to unloading such investments and putting its balance sheet back in order. But with the recovery teetering on the brink, it is being forced to consider stepping back into the breach. On Friday, the US government will publish its growth estimates for the second quarter. Analysts expect gross domestic product to have slowed to 2.5 percent in the period, down from 2.7 percent in the first three months of the year. Still, Bullard's comments appeared to paint a darker picture of the economy than that presented by Federal Reserve chairman Ben Bernanke, who recently told lawmakers he was "prepared" to take further action but only if the recovery "seems to be faltering." "We are going to continue to monitor the economy closely and continue to evaluate the alternatives that we have," Bernanke said. "If the recovery is continuing at a moderate pace, the incentive would be less." Bullard is widely considered an inflation hawk, so his comments were seen by many as a sign of a tectonic shift within the central bank. But a Fed official denied any policy shift, telling AFP that Bullard had only sought to spark debate. That view was shared by analysts. "Bullard's comments should be taken in the context of contingency planning and not as indicative of an imminent policy move," said Michael Gapen of Barclays Capital. "It is more likely that the analysis is meant to influence the direction that the Fed would move should conditions warrant."